Happy Friday everyone! I don’t know about you, but I’ve been enjoying some cooler fall weather. It takes a while to hit us here in Tennessee! 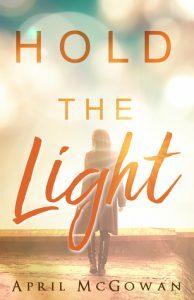 Stop by Hoarding Books Blog and read all of the first lines (maybe you’ll find your next read). There have been several good Jane Austen modernizations and Jane Austen inspired books this year. I’m a fan of Austen’s books (read all of them several times). This week I’m going to share a YA modernization of Mansfield Park that I adored! It’s been out a few months but this book deserves some recognition. 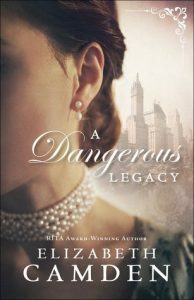 Author Kate Watson did an amazing job of making this story relevant and giving Finley Price a backstory that tugged at my heart. You guys, I’m reading Christmas books already! Can you believe it? For those of you who are staunch day after Thanksgiving celebrators, no worries. I won’t start sharing those first lines for another month or so :). 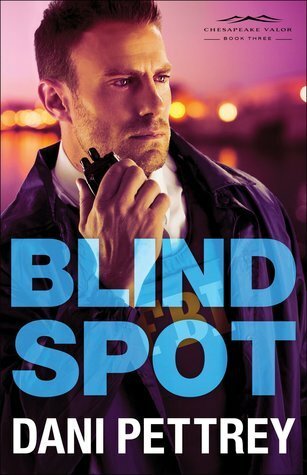 Today I’m going with a romantic suspense from one of my favorite authors in this genre. Luke crouched behind an orange shipping container, dreading to think what it held. This week’s book released a couple months ago but it has stuck with me, easily at the top of my best of the year list! 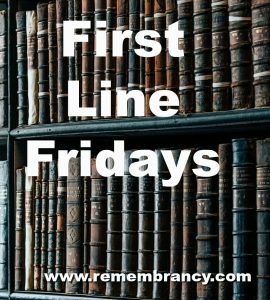 I’ve watched several bloggers put up their First Line Friday posts for a while now, wondering how they connected to do that. Well, turns out the lovely ladies over at Hoarding Books Blog have made it easy. This week, they are opening up FLF to anyone who would like to participate. If you join in the fun, be sure and link your post over at the Hoarding Books Blog. Without further ado, here is my first First Line!